Kudos to the National Heritage Board (NHB) of Singapore for preserving the nation's cultural heritage in apps, e-books and documentaries for the public to access. 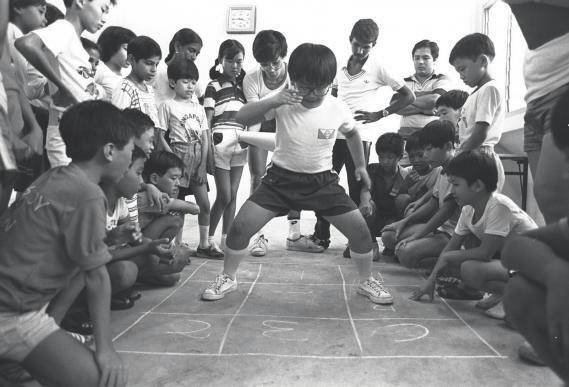 This will ensure that the old Singapore will be remembered by future generations. More similar projects are on the drawing board, and will be launched in the coming months. One such project is the Heritage in Episodes. It is a series of short documentaries each featuring a dying trade in modern Singapore. Many of these traditional family businesses have fallen victim to the relentless onslaught of modernization and technology as Singapore moves into the 21st century. Included in the first season are the dying trades of a street barber and a rattan weaver which are posted here. For more, please click on this link Heritage in Episodes. The second season which will be airing in April includes episodes on a knife sharpener and a second-hand bookshop. 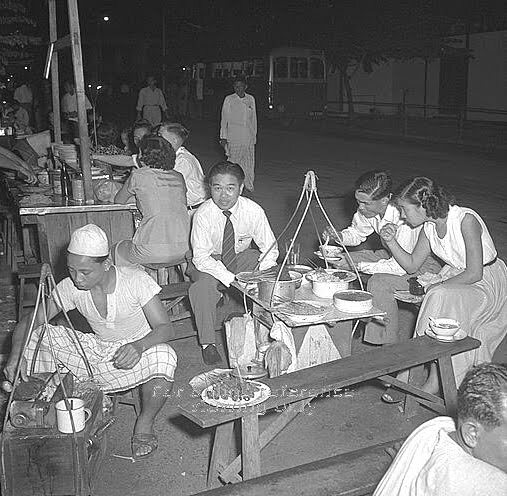 Those of us who grew up in the 1950s and 60s will recall the itinerant tradesmen peddling their wares and services - the satay-seller, the street cobbler, the ting-tong man, the petition-writer, and many more. They were an integral part of the Singapore landscape, and also of Malaysia then. Some nights I can almost hear the loud cries of "Na...si le...mak! Ka...ri...pap!" from the young Malay boy going from shophouse to shophouse with his rattan baskets of home-cooked delights. At night for supper, I would wait for the old red bean lady who would ambled along the main street swinging her two big pots on a pole across her shoulders. I swear her red bean porridge was the best in the world. Music that we danced to, songs that we sang, games that we played, fashion that we followed, places that we visited during our childhood days - all these wonderful memories of yesteryears can now be compiled and archived for posterity, thanks to the wonders of digital technology and social media. We will have a record of the past to leave as a legacy for our grandchildren. Isn't that great? I am so glad I found this book 'Vintage Singapore' at a book sale some years ago. 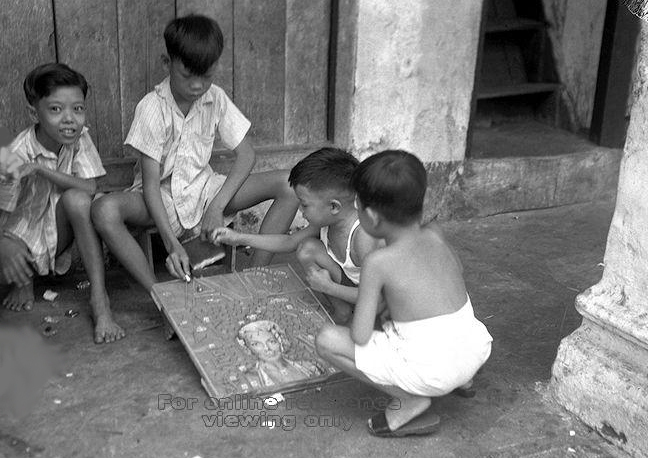 It's a treasure trove of old photos of Singapore and of life back then. I bought it specifically for my 86-year mother who has Alzheimer's. From the smile on her face as she turns each page, I know she still recognizes and remembers some of the images she sees. I hope they bring back poignant memories of a time when she was young, and carefree, and life was for her to enjoy.